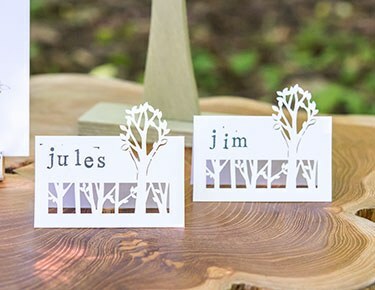 To ensure your big event goes off without a hitch, be sure to use these table place cards for weddings and parties. 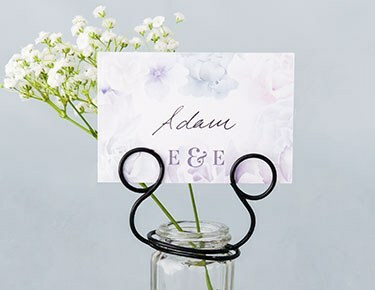 Available in a wide variety of stylish designs, these place cards are a practical solution for table assignments for any party or wedding reception. They’re completely customisable with names, dates and other information unique to your celebration. This personalised touch makes a big impression on guests. 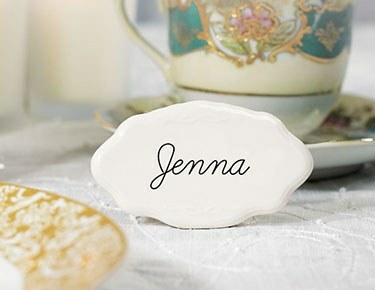 At Weddingstar, our selection of customisable place cards help you stick to your unique vision for the event. 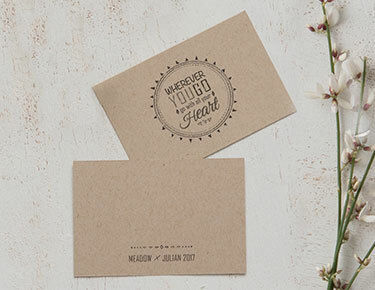 Our party and wedding place cards come in a wide range of designs, so it’s easy to find one that suits your style. While some have a very traditional, formal look, others have a contemporary or even quirky style that might be a better fit for certain events. From galas and fundraisers to weddings and birthday bashes, any event will look even more stylish when you incorporate these seating cards. Plus, they easily usher guests to their seat without having to use confusing seating charts or resorting to open seating, which often leads to awkward table arrangements. 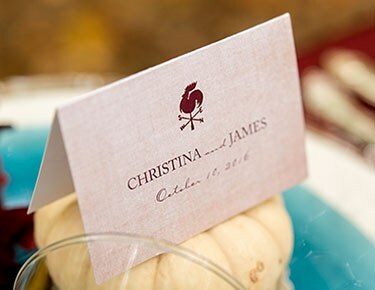 Browse our full collection of place cards for weddings and other events to find the style you like. Our double-sided and one-sided cards are great for use as tags with favours, while our tent fold cards are an excellent match for laying out seating arrangements for guests. 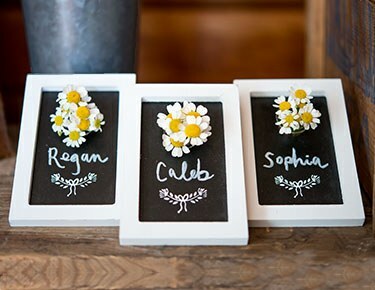 Laser-cut place cards and tags make a modern impression, while our chalkboards are the ideal rustic wedding place cards you’ve been searching for. 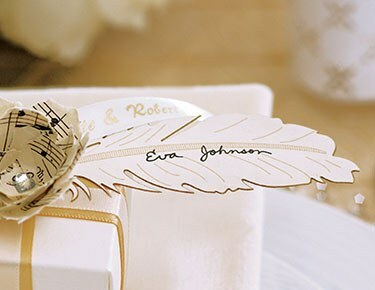 Check out our many designs at Weddingstar and be sure to add your personalised touch before placing your order. In addition, be sure to look for our coordinating options for other table accessories and décor, including table numbers, menu cards and more.